1 How to edit My Profile? 1. How to edit My Profile? When you're logging in, you are directed to the page of your "Profile"; by clicking the user icon (indicated with a red arrow in the example below), you can go to the page, too. 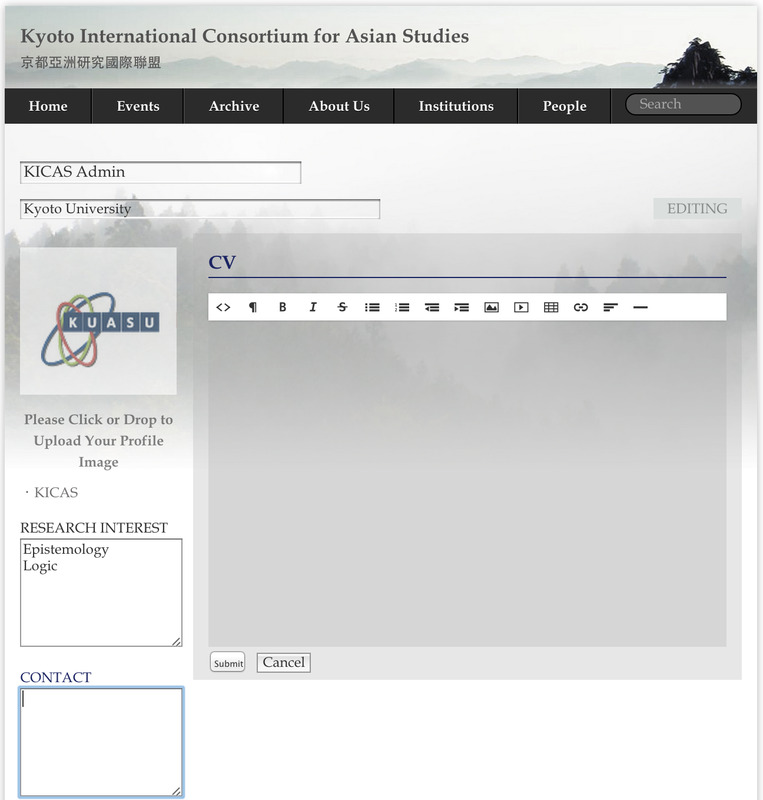 Click on the button of "EDIT MY PROFILE" (indicated with a red square), you can begin to edit this page. One can edit one's own display name and affiliation name as one pleases. To manage one's own avatar, please refer to the post "How to upload and manage my avatar?" 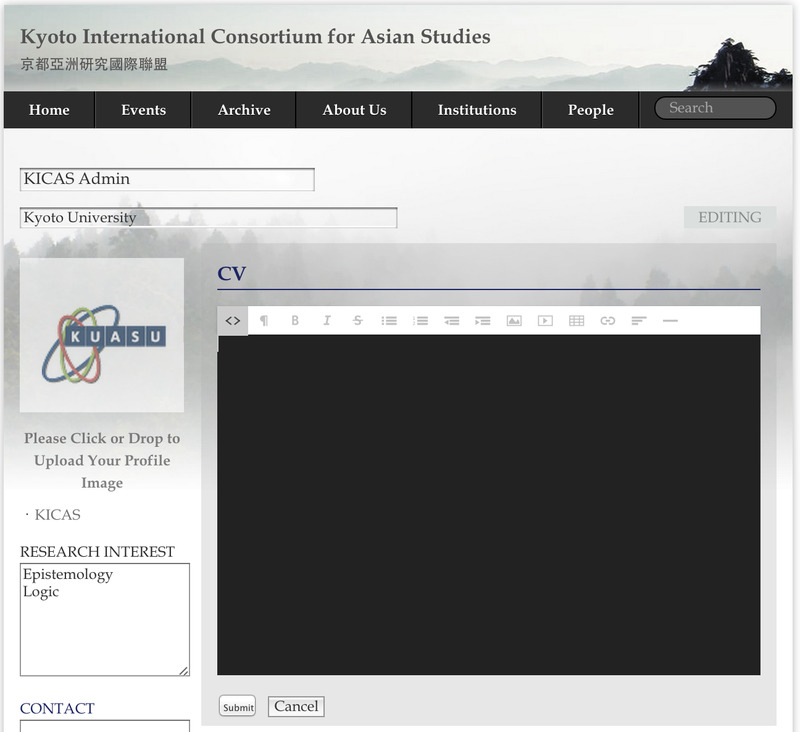 You can use the "what you see is what you get" editor to edit your CV. Basic office skills including putting in pictures, making tables, alignment, hyperlinks can be done easily. For those who are familiar with website code, the source code can be read and edited in the code mode by clicking the icon of "<>" on the tool row of the editor. Most html and iframe codes are recognized, so you can embed photos, videos and preview links to your community websites by pasting the code in the code mode. When you click this icon "<>", the background of the editor will become black (please see below), and you can edit the code. After you complete the code, click again the icon "<>" and then check the presentation in the "what you see is what you get" editing mode. After you complete your CV, please press "Submit" and see what you've got with your CV. 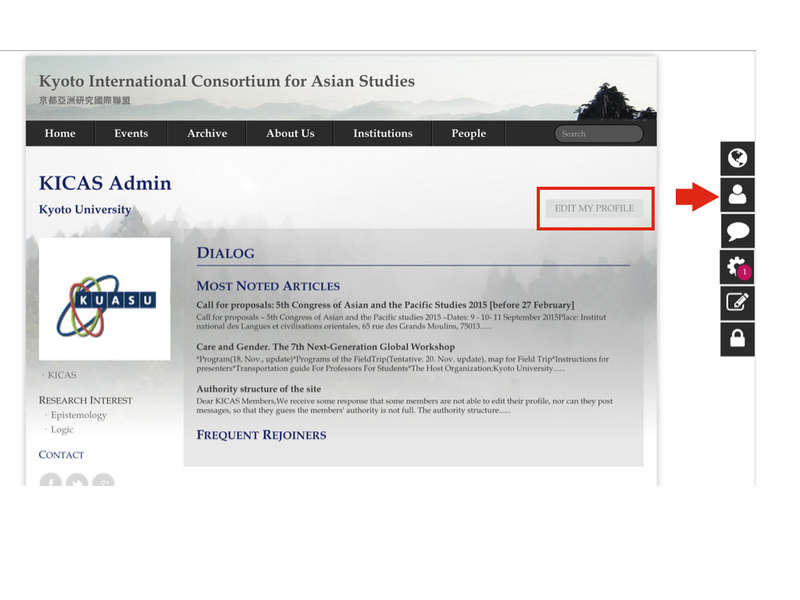 One can also edit one's RESEARCH INTEREST as one pleases, but one can also add the existing PANELS or OPEN FORUMS in DIALOG into one's RESEARCH INTEREST list. 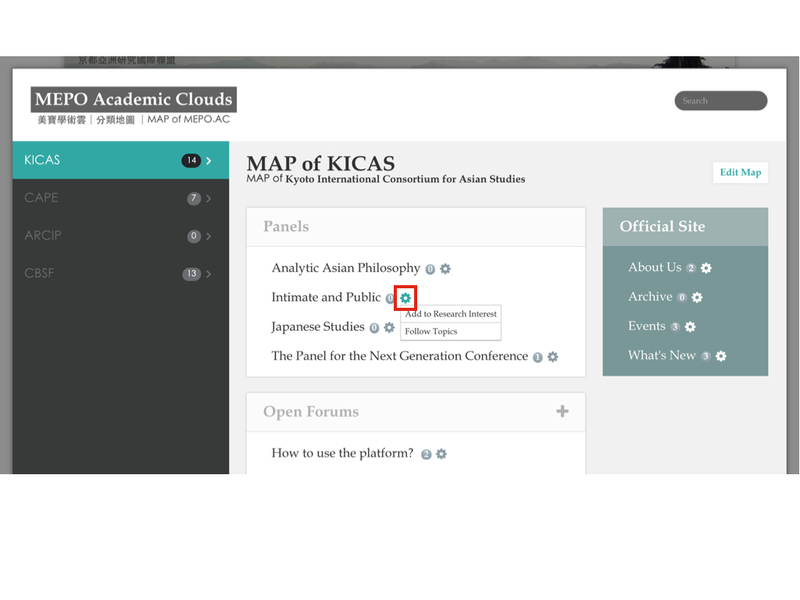 Move your cursor to the small pinion on the map, you can choose to add this topic to your RESEARCH INTEREST list. Please see below.